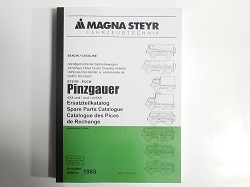 These complete set includes the Operators Manual, Repair Manual, and Spare Parts Manual. The manuals are in English. Worth every penny, it is a must for any pinz owner.